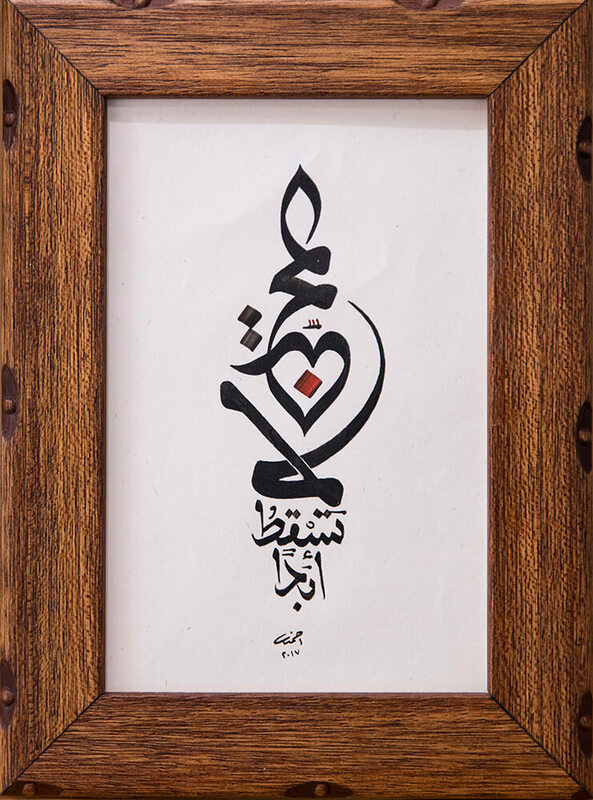 Designed exclusively for the Levantine Gallery, this original piece of Arabic calligraphy is a quotation from Corinthians: “Love never fails”. Written in Moroccan mojawhar jalil script, the design is in black ink and is signed by the artist. Available in a dark or light brown wooden frame, and includes a label with a translation of the phrase into English.